Whale- and dolphin-watching are wonderful activities that allow humans to encounter these fascinating animals in their natural environment. However, some studies from around the world have shown that whale and dolphin-watching tourism can have negative impacts on wildlife, if feeding and resting are regularly interrupted by boats. This in turn can have negative implications for the survival of marine wildlife. Tour operators and tourists can have minimal impacts on these wild animals if they ensure that their activities on the water are responsible. 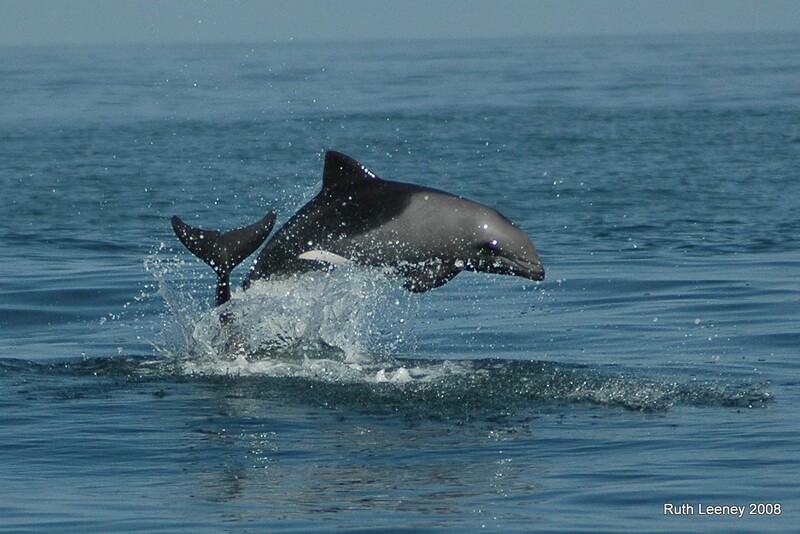 Each species of whale and dolphin, and even different individuals, have different tolerances to whale-watch boats. Above all, it is important to always observe the behaviour of the animals, allow someone with experience to interpret those behaviours and respond accordingly to avoid disturbing the animals you are watching. A minimum approach distance. In many parts of the world, boats are not allowed approach whales closer than 100 m; sometimes it is the same for dolphins. 50 metres is should be the minimum distance. If the animals then choose to approach closer, for instance dolphins that want to bowride a boat, that is acceptable. The vessel must then maintain a steady speed and course, and the animals are allowed to leave whenever they choose to do so. Never chase animals. Never approach whales/ dolphins from directly behind them or directly head-on, and never at high speed. 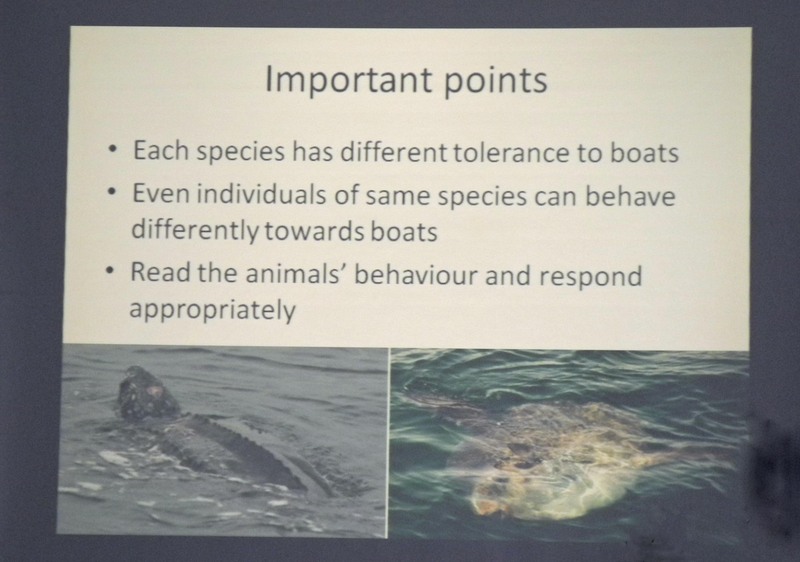 Boats should reduce speed to no more than 6 kn and approach at an angle, travelling in the same general direction as the animals. If the animals try to avoid the boat, they should not be followed. Number of boats: Varying numbers of boats are allowed around a whale/ dolphin or group thereof, depending on where you are. In the UK, the WiSe Scheme recommends no more than 2 boats at a time at a minimum approach distance of 100m. For the safety of the animals and the enjoyment of everyone on board, no more than 3 boats at a time in ‘close’ (50-100m) proximity to any one animal or group of animals is recommended. The wild, natural behaviours of whales and dolphins can be exciting and amazing. By creating standards that meet the international criteria for responsible marine wildlife-watching tourism, we can ensure that Namibia’s coastal tourism industry can continue to benefit from the presence of whales and dolphins for many years to come, whilst also reinforcing amongst visitors Namibia’s commitment to sustainable tourism. The above is from the TOSCO talk by Ruth Leeney (PhD), 29 January 2014.